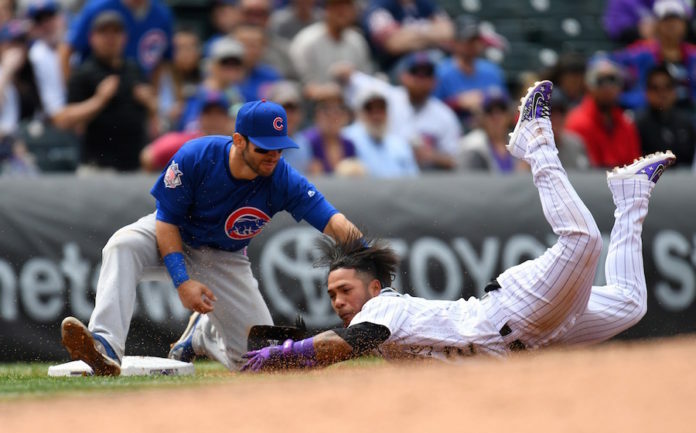 If the Colorado Rockies and Chicago Cubs were playing a soccer-style series “on aggregate,” they’d be entering Wednesday’s rubber match with only one run separating them. Together, the two teams combined for 23 runs in a split doubleheader that saw each team win in blowout fashion. Rockies rookie right-hander Antonio Senzatela (5-1, 2.86) was solid in game one, allowing only two runs on five hits over seven innings. 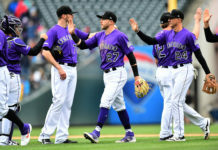 Every Colorado starter had a base hit, including Senzatela, and Mark Reynolds continued his hot streak going 3-for-4 with a home run and three RBI. Ryan Hanigan had a bloop two-out single to score three runs in a six-run third inning. Colorado chased Cubs starter Jake Arrieta (4-2, 5.35) with another three runs in the fourth. 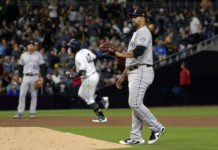 Reynolds tacked on another in the sixth with a solo home run and the Rockies rolled to a 10-4 victory. The Cubs flipped the script in the nightcap, though. John Lackey (3-3, 4.29) was dominant, striking out 10 Rockies and scattering four hits over seven innings. 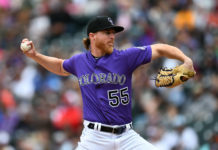 A pair of defensive lapses in the second inning spelled doom for Colorado’s other wunderkind starter, Kyle Freeland (3-2, 2.93). Trevor Story and DJ LeMahieu each made throwing errors in the inning, leading to five Chicago runs (three earned). Chicago added a pair in the eighth off Mike Dunn and a solo shot by Kris Bryant in the ninth to cap an 8-1 win. Colorado and Chicago will wrap up the series with another day game Wednesday. German Marquez (0-2, 7.31) hopes to earn his first win in 2017, while Kyle Hendricks (2-1, 3.51) will look to remain unbeaten at Coors Field in his fourth career start there. First pitch is 1:10 p.m.